A fresher face without surgery or injections! 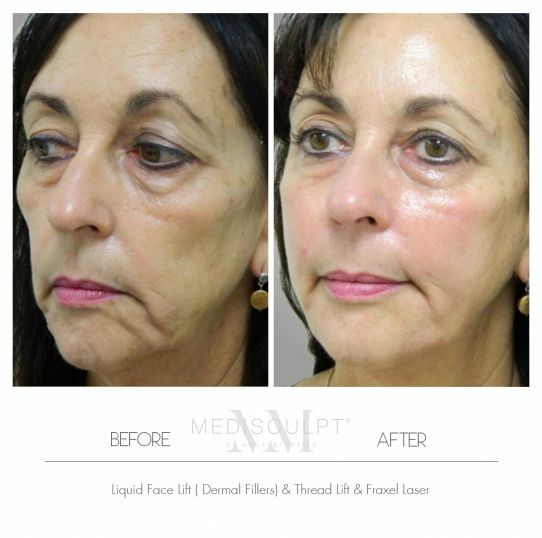 A skin tightening treatment that works! Pellevé™ is a new innovation for smoother, tighter skin. It is TGA approved to treat facial wrinkles without surgery in less than 40 minutes for the entire face. All of which completed in the comfort of our Perth Clinic. Pelleve’ is one of the most popular dermatological skin tightening procedures in the USA. Pellevé™ precisely heats the deep layers of your skin using advanced radiowave technology without damaging the top layer. The heat causes your skin to stimulate collagen synthesis and as a result it contracts and tightens. Treatment is extremely gentle and pain free. Post treatment and over the following months you will experience an improvement in skin quality, firmness and tightness that you can see and feel. -delivers excellent results and value for money. Pelleve’ is extremely tolerable and discomfort-free. Skin is gradually heated up to the point where collagen stimulation and remodelling takes place. Some of our patients call Pelleve’ ” the Bickram Yoga of skin”! We often hear from patients who have tried Thermage treatment before that Pelleve’ is remarkably gentle and pain free. How much does the Pelleve’ skin tightening treatment cost? Unlike other radio frequency skin tightening procedures like Thermage™, Pelleve’ treatment is almost 1/10th the cost and delivers comparable results, if not better!